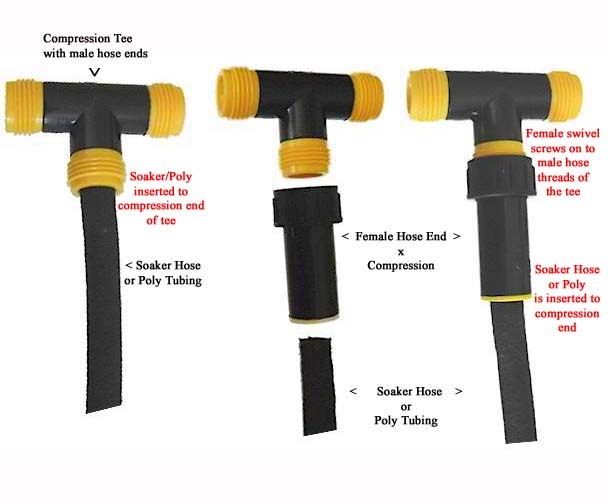 Use the .580 Compression Tee for creating 3 way branches in .580 od poly tubing or soaker hose. 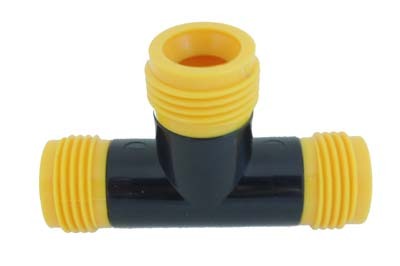 The Black and yellow compression fittings are unique, as besides being compression they also have male hose threads to make them very versatile. For instance if you have a tee buy simply using a cap, you can make the tee into elbow or coupling if need be.